Last summer … remember that, days of endless sunshine and lingering around the salad drawer to keep cool. Seems like a distant memory, but I digress ….. let’s start again. Last Summer, I had the pleasure of working with 91 Magazine on a feature showcasing peastyle HQ in their beautifully printed magazine, one of my favourite independent mags out there. 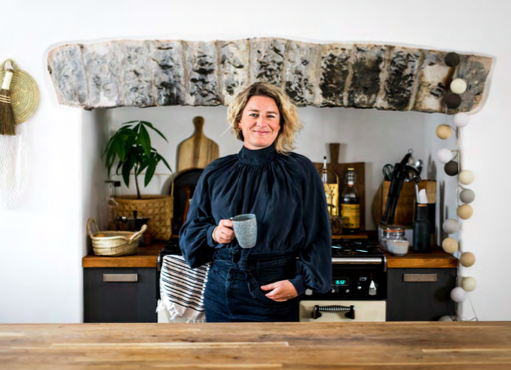 The days leading up to the shoot were spent frantically slinging clutter in the cupboards and plumping up cushions ready to make the house mag-worthy ….. all in a heatwave. Housework in a heatwave is not to be recommended, I find potching about in the garden sipping on ice cold drinks and staring at the clouds drifting by, a far more edifying experience. I greeted Kym off the train with a cold bottle of water, she travelled light, all she needed was her trusty camera bag and a pop-up light reflector, we headed back to the house and set about inching plants around surfaces to just the right spot and crumpling bed sheets to just the right degree of crumpledness, not an easy task getting that casual tossled Sunday Morning vibe as opposed to the student digs look. We whirled around the house and Kym spun her magic behind the lens and captured the house beautifully, I’m so happy with the results. You wouldn’t believe how hot it was under that flouncy blouse in the heat of the day, sipping a non existent tea and pretending to keep warm by the AGA. You can read the full write up and see all the shots in the 91 Magazine A/W issue on sale here or download a digital copy here it really is the perfect Sunday Read.